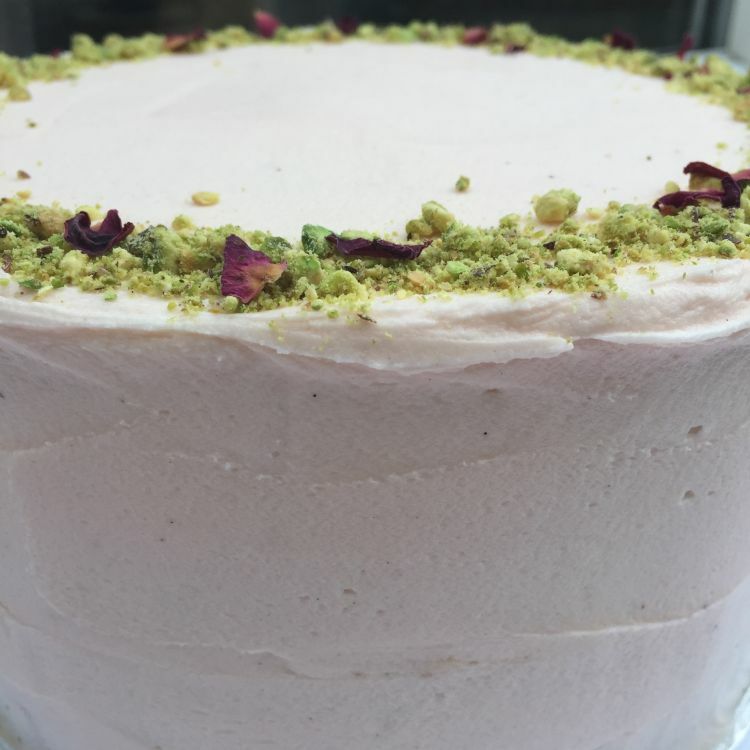 Gluten free vanilla + pistachio celebration cake with white chocolate filling + vanilla rose icing. 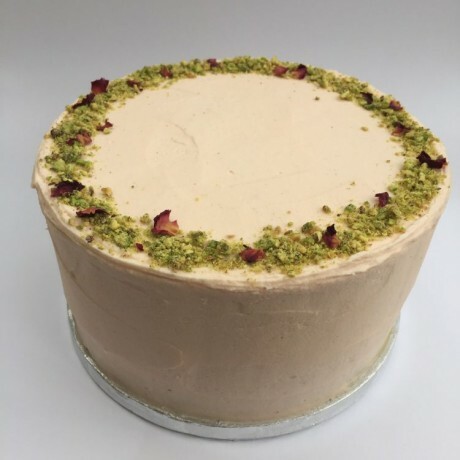 Cake: Ground almonds, gluten free plain flour,, pistachios, unsalted butter, golden caster sugar, eggs, baking powder, xantham gum, vanilla extract. Icing: Unsalted butter, golden icing sugar, white chocolate (contains milk), blanched almonds, double cream, vanilla extract, rose extract. 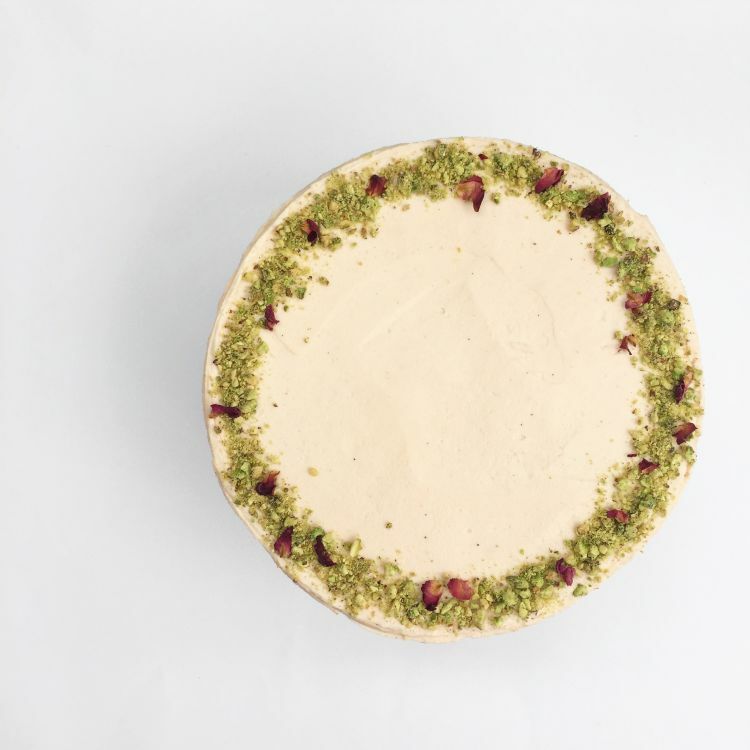 Almonds, pistachios, butter, eggs, buttermilk, white chocolate, double cream.